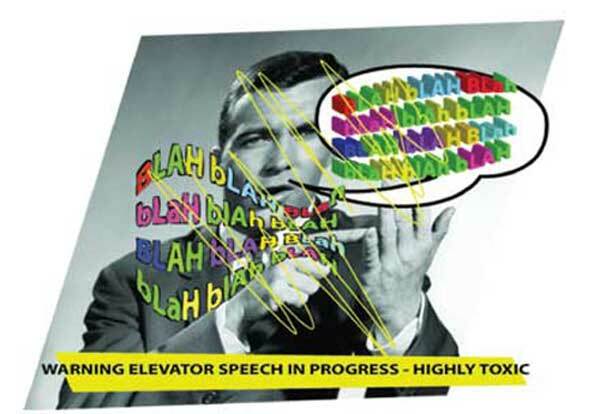 The elevator speech is DEAD. Do you want your networking efforts to DIE WITH IT???? Ever blow up a warm lead? Poison a great suspect? Put a perfect prospect into a coma? Do you want this to happen to you????? The answer, of course, is NO!! Join us at our October 27 Liberty Village Toastmasters meeting (6pm at the Harbourfront Community Centre) for the first in our monthly Workshop Series: “Networking 2.0 – It’s Just the Beginning,” a primer for the new normal in networking. This interactive workshop, developed by Ted (one of our most Advanced Speakers and a founding member of the club), will teach you the art and the science of sharing your story “one on one” live and in-person. Don’t miss out, reserve your spot at the workshop now – space is limited to the first 20 people. Please RSVP to libertyvillage.tm@gmail.com and include your current networking script. Don’t have a networking script?? Then you can’t afford to miss this event!! To view and print the official poster for this event, click here. One of the founding members of LVTM, Ted has given over 48 speeches over the last 7 years and has earned both Advanced Communicator Gold and Competent Leader designations. He now focuses his efforts on fostering the growth of our members, through both the Mentorship Program and by developing workshops. Each month, one of our regular club meetings will feature a workshop developed and presented by one of our Advanced Speakers. Each workshop is designed to grow and improve the communication skills of our members by providing practical tools and tips on topics like networking, evaluation, and presentations. This entry was posted in Event and tagged Workshop Series. Bookmark the permalink.